Washington, D.C. (July 20, 2016) — The ALS Association and Amylyx Pharmaceuticals based in Cambridge, Mass. are pleased to announce that The ALS Association and ALS Finding a Cure® are jointly providing funding to support a Phase II trial of a potential new therapeutic approach being developed by Amylyx for the treatment of ALS. The $2.96 million grant is being awarded by a collaboration of The Association with ALS Finding a Cure as part of the ALS Accelerated Therapeutics Initiative (ALS ACT), undertaken by the two organizations in 2014. Funding support from The Association is dedicated to Massachusetts General Hospital (MGH) to run this clinical trial. “The ALS Association is pleased to support this important clinical trial designed to incorporate biomarkers to track changes in the disease process. Results from this trial will significantly contribute to biomarker development and inform us about the value of using this combined therapeutic approach,” said Lucie Bruijn, Ph.D., M.B.A., Chief Scientist for The ALS Association. Amylyx’s oral therapeutic candidate, AMX0035, is a combination of two drugs, sodium phenylbutyrate (PB) and tauroursodeoxycholic acid (TUDCA). Each compound has exhibited strong efficacy in several cellular and animal models of ALS. Furthermore, PB and TUDCA have been individually tested in clinical trials of ALS and both showed safety and tolerability and preliminary signs of efficacy. In preclinical trials, Amylyx has shown a synergistic effect between the two compounds, suggesting that the combination may be more effective in people with ALS than either compound alone. ALS Finding A Cure® is a new research organization dedicated to being a game changer in discovering a cure for this fatal disease. Founded in 2014 by noted philanthropist and Conair CEO, Leandro (Lee) Rizzuto, as a tribute to Christie Rizzuto, Lee’s daughter-in-law who was diagnosed with ALS in 2009 at the age of 41, and under the joint leadership of Lee Rizzuto and Peter N. Foss, ALS Finding A Cure is focused on identifying the gaps in the scientific understanding of ALS that are preventing the development of a cure. The organization, a program of The Leandro P. Rizzuto Foundation, collaborates with a wide range of companies, ALS organizations, other disease non-profits, and ALS patients and families to ensure research efforts are non-duplicative, synergistic and focused on the ultimate goal: getting to a cure. 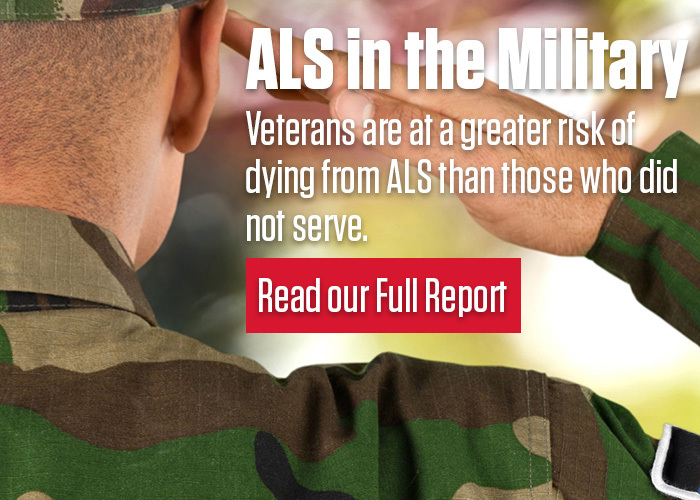 For more information about ALS Finding a Cure, visit www.alsfindingacure.org. Amylyx is developing a novel therapeutic for Amyotrophic Lateral Sclerosis (ALS) and other neurodegenerative diseases that targets the neuroinflammation and nerve cell death that characterize these disorders. The company’s therapeutic, AMX0035, is a proprietary, fixed-dose combination therapy that blocks nerve cell death and neurotoxic inflammation. Learn more at: www.amylyx.com.